The World's best selling car at 1.22 million last year is the Toyota Corolla, yet this model has not been sold in the UK since 2007 when it was replaced by the UK built Auris. Since 1966, when the model name Corolla first appeared, it has sold a record 40.72 million. However, the Corolla that is still proving to be the World most popular car has grown in size since 2006. The previous generation Corolla Altis was closer to the size of an Avensis and forms the backbone of the Bangkok taxi fleet. Of course it’s not just a single car that’s achieved the huge Worldwide sales, but a model range that has regularly changed with the times to give customers exactly what they want, right at the heart of the market. The appeal of the latest generation Corolla is proving particularly strong, helping it post a five per cent year-on-year increase in sales across 150 countries and regions worldwide. Even though the Corolla name has not been part of Toyota’s UK line-up since 2007, more than half a million were sold here from the mid-1960s and almost 200,000 are still on the road today. 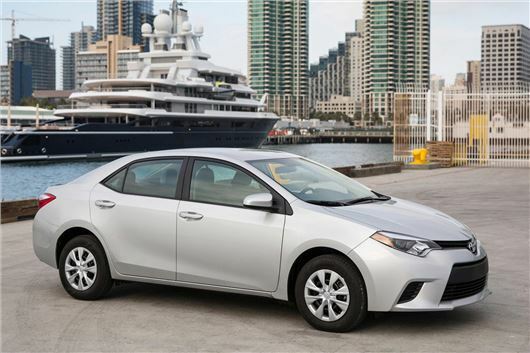 The 2013 figures have been calculated by Toyota Motor Sales in the USA using independent Polk new vehicle registration data from IHS Automotive, which captures 96 percent of global new vehicle volumes, confirms Corolla is the world’s best-selling vehicle model for 2013 with global registrations of 1,098,524 units. This figure includes Corolla saloons and other variations bearing the Corolla name, such as Corolla Axio, Corolla Altis and Corolla EX trim levels of the Corolla saloon sold in Japan and other world markets. The Corolla-badged Fielder and Rumion hatchbacks are also included.